Arthritis is the most common health condition that dogs usually suffer. In general terms talking about Arthritis – we can say that it’s a conglomerate of varied symptoms that affects dogs and deteriorate their normal life. It starts with degenerating of the cartilage that surrounds the joint. And when this cartilage wears out, the calcium deposit by the body is loaded on the ends of the bones, which gradually turns to cause discomfort, joint pain along with limiting the range of motion of the joints. However, joint supplements when used as the prevention program can effectively supports in reducing joint health conditions including the early signs of arthritis. Mostly, vets too recommend nutritional supplements which contains higher amount of glucosamine, chondroitin, methylsulfonylmethane (MSM), Green-lipped mussels and turmeric. Glucosamin Suplfate is a natural component that helps in relieving the arthritic pain that usually dogs suffer from. It is one of the widely-used remedies for arthritis. The component’s natural potentiality help to stimulate the production of glycosaminoglycans (GAGs) and chondroitin sulfate which build up cartilage. Glucosamine has proven to induce anti-inflammatory activity and helps in relieving joint your dog may be suffering with. Paw Osteocare Joint Health Chews are specially designed with Glucosamine Sulfate. Along with other ingredient like Chrondriotin sulphate, it effectively reduces pain and helps your dog to tackle with arthritic pain and lead a healthy life. The second most important component that specifically aids in lowering joint pain in dogs is Chondroitin Sulfate. This is again a natural component found in the body and this essential ingredient has the power of controlling the enzymes that prominently degrades the building blocks of joint cartilage. Normally, Chondroitin sulfate is used in the combination with Glucosamine. However, when it is not used, Glucosamine has the capacity of generating its own Chondroitin. These chews are enriched with Chondroitin and are specially formulated with an innovative mechanism that helps reduce joint pain. The joint formulation not only supports and maintains the joint health, but aids in controlling arthritic pain when used regularly. Many studies have proven that the use of Joint Guard predominantly reduces non-infectious inflammation caused due to arthritis, injury or excessive training. Quite popular among veterinarians, MSM is often recommended for pets with joint issues. Methylsulfonylmethane is a special complex component which is a unique chemical combination of the amino acids methionine and cysteine, which can be utilized by the body for joint functioning. MSM is especially helpful in lowering joint pain naturally as it aids to maintain normal articular cartilage. 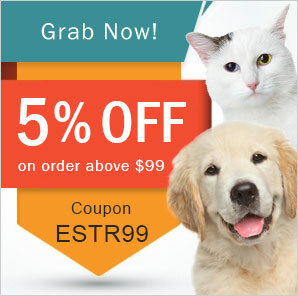 This is an exclusive health supplement for joint health in dogs. The joint formulation has been designed with MSM and manganese gluconatem along with other natural components. It works symmetrically to repair damaged cartilage and reduce pain. The joint supplement profusely lowers the risk of aging effects on joints and prominently lessens joint inflammation and arthritic pain. Green Lipped mussel is scientifically known as perna canaliculus and is loaded with essential nutrients including minerals, proteins, glucosamine and ETAs. These ETAs – Eicosatetraenoic acids are a special type of Omega-3 fatty acids and provide an anti-inflammatory effect which specifically helps in reducing joint pain. The vet office reports have stated that the use of Green Lipped mussel has proven to reduce pain, joint stiffness and improved mobility. Proportionately rich in Green-lipped mussel, Sashas Blend powder is specially recommended for treating painful joints. The powder not only improves joint function but also lowers the signs of arthritis in dogs. Aiding in producing synovial fluid, Sashas blend works at core in developing healthy joints in puppies. With it major benefits in lowering inflammation and pain in joints, Turmeric has become quite popular recently in use for joint health in both humans and animals. Turmeric contains a special yellow/orange pigment known as Curcumin which is loaded with antioxidant and anti-inflammatory properties equally. This joint supplement is specially recommended for dogs with hip dysplasia, rheumatoid arthritis, osteoarthritis, lupus, fibromyalgia and respiratory issues because of the turmeric as the major ingredient and other components present. The natural property of turmeric vehemently reduces inflammation and acts as natural antibiotic. The joint powder not only alleviates the arthritis pain but also lowers inflammation apart from reducing the risk of arthritis symptoms. Next: Why to Choose Revolution for My Cat?